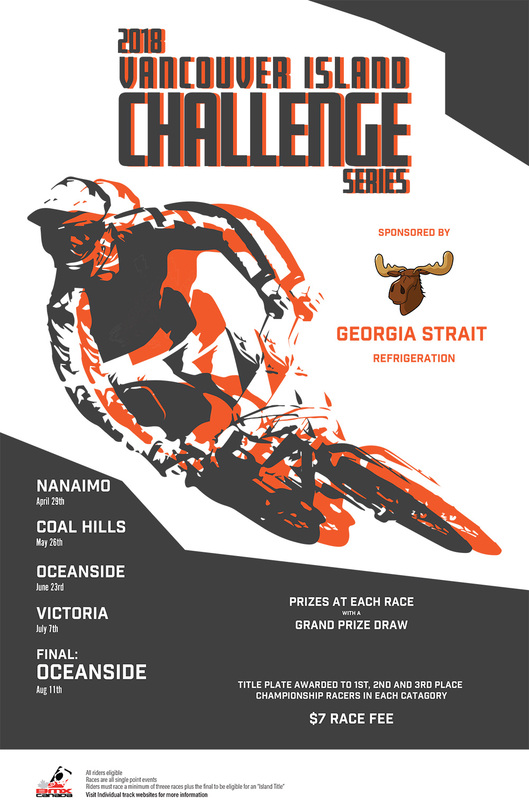 The Vancouver Island Challenge Series sponsored by Georgia Strait Refrigeration provides island riders the opportunity to compete in a series format. All riders can participate in all races. To keep race fees to a minimum, races are single point ($7 entry fee) AND even better, all tracks are within driving distance so no extra costs for overnight accommodation or ferries!